PUBG is officially out of Steam Early Access, with the 1.0 PC version released a few hours ago (if you’re an NVIDIA user, you can find the Game Ready driver here). To celebrate the occasion, PUBG Corp. sent out a press release announcing that the game surpassed 30 million players when considering the Xbox One Game Preview release as well. The day has arrived. Nine months ago, we celebrated PUBG’s release into Early Access and began collaborating with our players to bring PUBG Corp.’s Battle Royale vision to life. 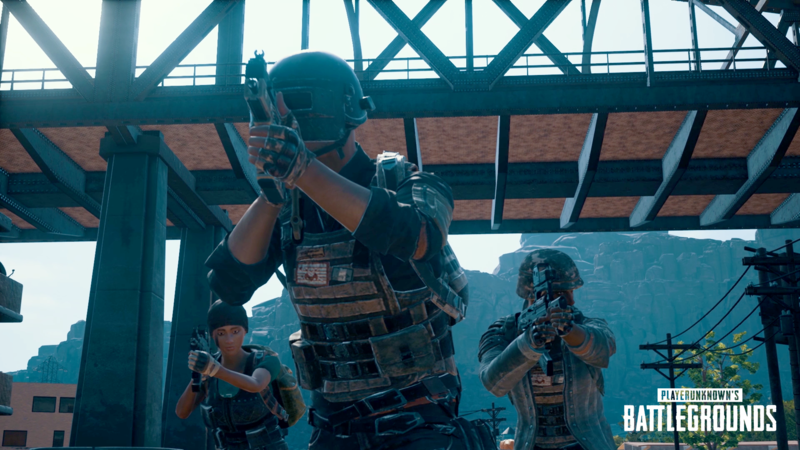 Now we have a new milestone to celebrate: after a tremendously successful and instructive Early Access phase, we’re launching PUBG’s version 1.0 on PC, which will include our new desert map Miramar, vaulting and climbing, and all of the other features the community has been helping us refine. We’re excited to begin the second part of PUBG’s journey, and this is just the start of our commitment to the development of this game. 2017 has been a phenomenal year for PlayerUnknown’s Battlegrounds. With over 30 million players globally across PC platforms and the Xbox Game Preview program, we owe the success we’ve experienced this year to the community, whose passion has inspired all of us here at PUBG Corp. to make the very best game we can. We’ll continue to fine tune the Battle Royale experience and will introduce additional in-game content, including new crates, to become available in early 2018. The developer also outlined the upcoming roadmap with a post on the game’s Steam forum, promising to polish gunplay, sound and animations while increasing network stability and anti-cheat measures. 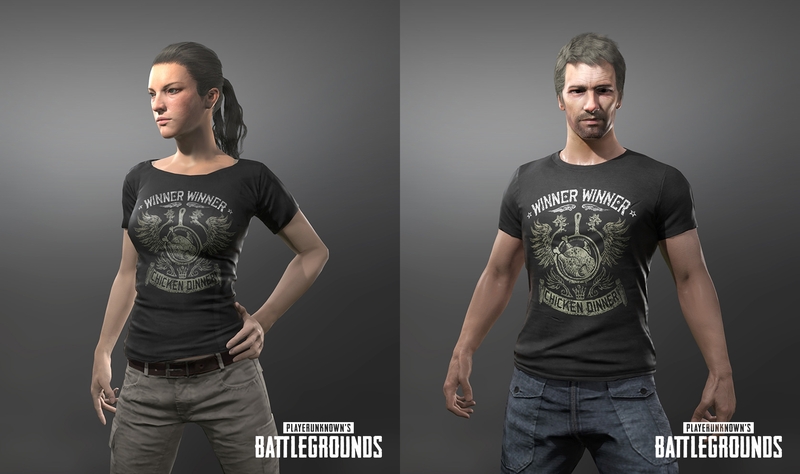 Moreover, everyone who boots up the game in the next few weeks will get the free in-game shirt seen below. After 1.0 is out, we will continue to uphold our open development principles and keep listening to your feedback, as we have done through Alpha, Beta and Early Access stages of the process. Reaching version 1.0 for us means establishing the basic structure for the smooth Battle Royale gameplay of our game. Balancing and polishing in terms of gunplay, sound, animations and other features and systems will continue after launch. We’ve been working hard to address some of the most important issues for our community members and have seen some improvements recently that we wanted to share with you. We’ve implemented two waves of adjustments to deal with server stability issues since PC 1.0 test build #3 hit our test servers. We estimate that there was around 50% decrease in stability issues experiences by players. However, we understand that this is not enough. We have identified various causes for the stability issues and are expecting progressive improvements going forward. As we announced earlier, we are considering limiting maximum ping depending on user network status in order to establish a smooth gameplay environment and enhance server stability. Before applying the measure to all regions, we will need to fully investigate its feasibility and analyze the outcome, so we will be running a limited test. After implementation, players with a high ping difference from average ping range for the region or players connecting over long distance will not be able to connect to a match. As a result, only players in a certain ping range would be able to enjoy the game together in the same server which leads to a more stable and smooth environment. We will keep you updated on our progress as we continue looking into this method and analyzing our results. We’ve strengthened cheat prevention measures and continue to reinforce them. We’ve also implemented various automatic and manual anti-cheat measures and thanks to all these actions have seen an estimated reduction of 65.7% in the number of players trying to use cheats. We are also continuing to actively remove banned players from our leaderboards. No online multiplayer game can remove all cheaters but we will continue to direct our best efforts towards reducing the number of cheaters as much as possible and maintaining a fair play environment.